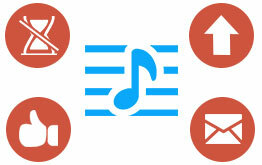 This is a totally free tool developed for Windows users to free download Apple Music songs to MP3, AAC, FLAC or WAV. Free Apple Music Downloader: download Apple Music songs or playlists to MP3/AAC/WAV/FLAC. It is also capable of free downloading iTunes music, iTunes M4A/M4B audiobooks. Enjoy your favorite Apple Music songs on multiple devices like MP3 player, car player and more whenever and wherever you want. To help users well organize the music library, Sidify Apple Music Converter Free will preserve the ID3 Tags including Title, Artist, Album and more after conversion. This freeware also supports saving the output audio into organized folder like Artist, Album, Artist/Album, or Album/Artist. Unlike most of the online music downloaders, Sidify Apple Music Converter Free has no limit on time and numbers of tracks you want to download. You are allowed to add multiple tracks from iTunes library, then Sidify Apple Music Converter Free will download them in batch at fast speed. If you want to play Apple Music songs on CD player of your car or home multimedia center, you can use Sidify Apple Music Converter Free to burn the downloaded Apple Music songs to CD in one-click. We all love sharing our favorite music to others via social network, so Sidify Apple Music Converter Free also allows you to share the music you downloaded to your family or friends. The clean and intuitive user interface presents all the features of Sidify Apple Music Converter Free, and you will be easy to know how to free download Apple Music songs with this freeware. No Adware, no Spyware and no malware, you can feel secure to install it. Sidify Apple Music Converter Free is fully compatible with Windows 10/8/7/Vista/XP and the latest version of iTunes. I recently downloaded Sidify Apple music converter Free on my computer. It works great, fast and really easy to use. 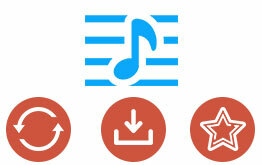 I can free download all my favorite iTunes music to MP3 and enjoy them on my devices more freely.